How did a middle class family live in New Orleans during the mid-19th Century? Well, an easy answer to that question would be to visit the 1850 House located at 523 St. Ann St. 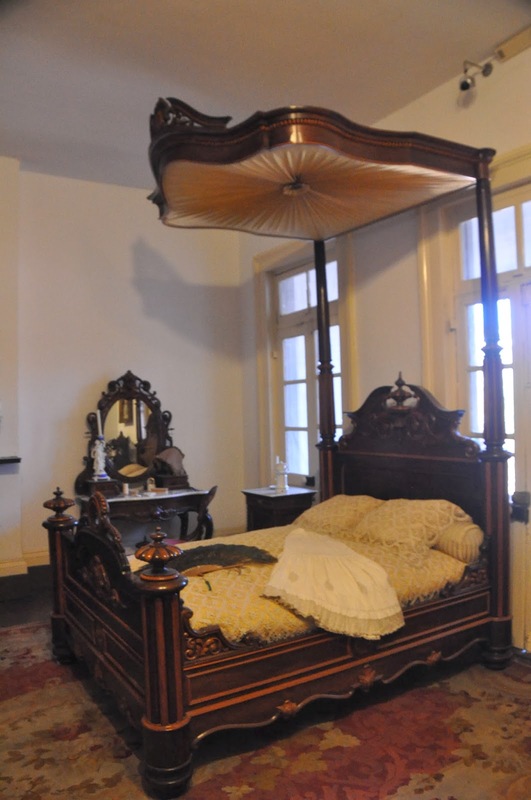 The 1850 House, a National Historical Landmark, is considered a time capsule in the French Quarter. It is one of many homes and businesses situated in the Lower Pontalba Building on the east side of Jackson Square. More such accommodations are located in the Upper Pontalba Buiding across the square. St. Louis Cathedral is to the north of the square. On a visit to the Crescent City in October, wifey and I took a French Quarter tour and also acquired tickets to visit the 1850 House. After a 2-hour traipse around the area, wifey didn’t have enough energy for the House, so we put that off until this past weekend. 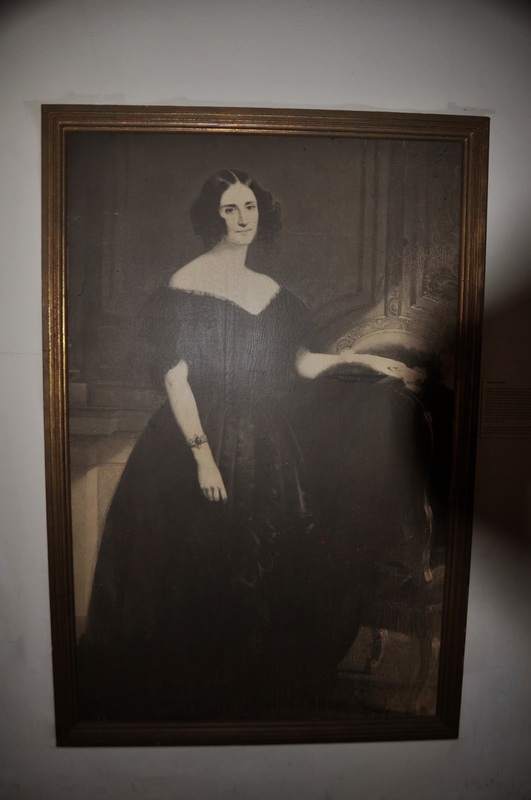 The history of the building can be found on the museum’s website which tells wouldbe visitors that the museum “re-created what one of the residences would have looked like during the Antebellum era when the Baroness Pontalba first opened her doors." While visiting, we took a self-guided tour which included working our way up to the third floor and out onto a balcony and back down a second set of stairs. Visitors should note that the facility is not handicap accessible. 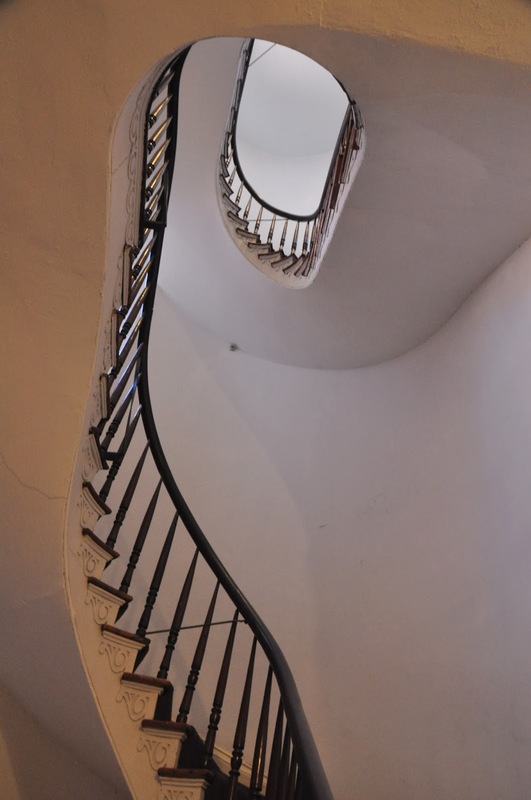 Making one’s way to the third floor involves negotiating two sets of spiral staircases and the trip down involves another two sets of stairs which could challenge some who may have trouble walking. All in all, it was an interesting visit getting to see how “middle class” people lived during that period of time.